This is probably more work than anyone wishes to do, but I thought I'd throw it out there anyway just in case. I have long wished I could override the default shortcut keys in Simutrans. The vast majority of them I never use, and there's no shortcuts for the things I wish I could have. As for the method: Probably supplying a keys.conf. Maybe the easiest structure would be to mirror the structure used to build the in-game menus, where you can specify the item associated with the key (because in a best-case scenario, it'd be nice to be able to supply a keys.conf globally and/or for each pak, where one could map out commands or menu items to a key). Speaking of "Custom keyboards", one thing that is a little annoying in Simutrans, is when a "tool" is selected. 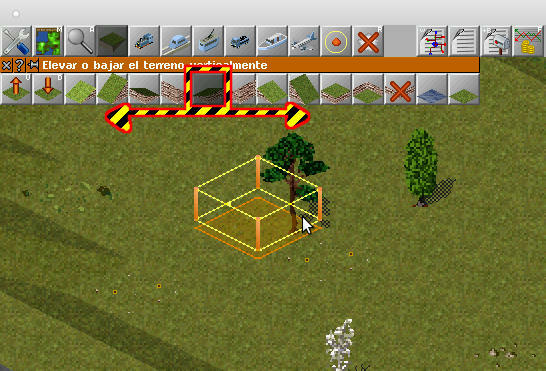 For example when constructed "slopes", it would be very useful be able to move the selector "forward / backward" with a keyboard shortcut, although it would be much better to use the mouse wheel. All this in order to allow quick switching between tools. You can set/change key shortcuts in menuconf.tab. it would be very useful be able to move the selector "forward / backward" with a keyboard shortcut, although it would be much better to use the mouse wheel. Seems doable, and I guess I remember which file to edit, but I'm busy with the website. Scroll wheel over a toolbar to change selection. Woah. My mind is blown. I completely managed to miss this. edit: But how can I assign specific roads/stations? It looks like these are dynamically generated. Currently if I press an unallocated key it displays 'keyboard help', which means if I have mapped that key to a screen recording program then the first thing recorded each time is the 'keyboard help' screen coming up. Map it to info tool - usually key a. Not sure if you are meaning map the screen recorder to the letter 'a' (which would cause issues when typing), or Map the info tool to the key allocated for the screen recorder (i.e. F11/F12), in which case can multiple keys be mapped to a single command? Also, how are the 'Fx (F2,F3...F12) keys listed in menuconf.tab? (I see home HOME and END listed, so I am guessing it is just F12 as an example, but I can't actually find any reference to an 'Fx' Key). Another one I would like to map is <Alt>+<F4> to exit (Simutrans is about the only application I have found on Windows that does not recognize this command as exit). I realize there is ^ to indicate the use of <Ctrl>, but not sure if there is a similar convention for <Alt>. (and also switching to the info tool isn't quite 'do nothing' but I guess it is close, and the best option currently available with Simutrans). Also, in regards to the original comments, I think having the option of a keysconf.tab in the user directory that overrides menuconf.tab would be good, as I would like to be able to set keys for all PakSets I play, without having to go in and manually edit each PakSet's menuconf.tab file (also when a new version of the PakSet is released, if I just download and extract it over top, it overwrites the menuconf.tab). Vladki was talking about mapping the key that should do nothing, to select the Simutrans Inspect tool. Which currently is assigned with the letter 'a'. Yeah, just try editing menuconf and see if you can define the inspect tool twice, with different keys. Once the original (a) and second with the key to you use to start recording. Another one I would like to map is <Alt>+<F4> to exit (Simutrans is about the only application I have found on Windows that does not recognize this command as exit). Alt+F4 is handled by Windows. Simutrans doesn't need to map it. In fact, it might not even see it. If it doesn't work for you, something else must be blocking it. It works for me with the GDI version, and I'm pretty sure it worked for SDL as well (SDL1, haven't tried SDL2). Just tried again, Alt+F4 is working fine for me now, so not sure why it wasn't working last time I tried using it. Must have been a Windows issue. Posting about technical issues often scares the OS into performing correctly. You need to define a toolbar which is never called (in case the tool has an automatic icon) or if not, just append it to the end of toolbar. The numbers of the tools in the toolbar must have no holes!